When it comes to higher education, the first thing that comes in our mind is the cost. Especially it is very critical when you are coming from an Indian Middle class family and going to have all the responsibilities, both financially and emotionally. 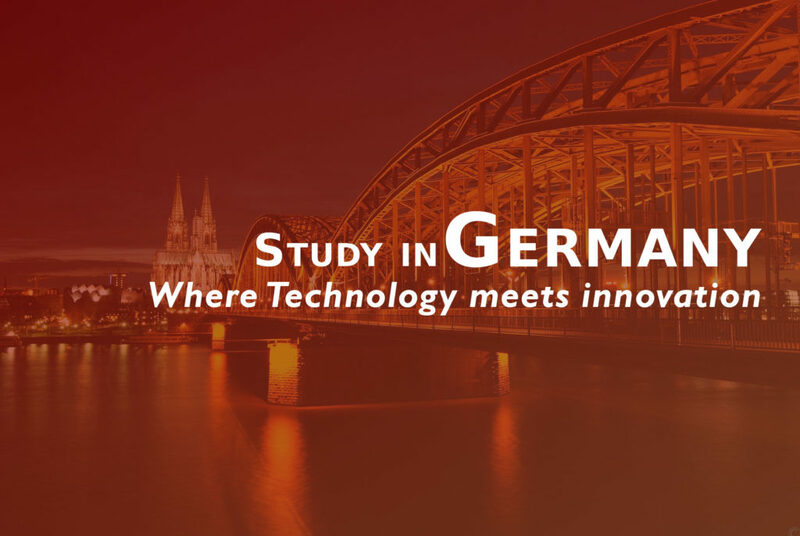 If you compare the cost of studying for MS abroad, you will find that Germany stands out with the quality and the economical option. Most of the public universities have literally no tuition fees, so that anyone(being International or Native) can pursue their studies in the field they want and contribute in advancement of the society. Studying or MS in Germany universities is so cheap(but in a great way) that a student don’t need to worry about taking loans and living with the constant fear of debts with financial crisis. However, from 2017, the state of Baden-Württemberg is introducing fees of €1500 for non-EU students. It is true that there are no official rankings of German universities like American or Canadian universities. It doesn’t mean that the quality of education is less compared to those universities that are standing higher in QS or ant XYZ ranking system. In Germany, every university is unique. Each university receives a specific projects from the industries and they work on that. For example, the university where I am currently enrolled has a CARISSMA [Center of Automotive Research on Integrated Safety Systems and Measurement Area]. They work on Automotive safety closely with Audi. Also, I found that the intellectual level of the professors is infinitely better than what I dealt with my Bachelor’s. So nothing can be complained about the quality of the education. This is what seems new if you come from India, where everyone just try to loot you in the name of education. It’s completely reverse in Germany. If you are a student, you have a lots of advantages which includes cost of gesundheit versicherung(Health insurance), Bus/train pass, gym fees, lunch in cafeteria, cost of attending conference/exhibition etc. In my university, they provide free laptop until your course completes, whichever you want. This is something that I love about Germany. The country is completely safe. There are no riots, no political conflicts which cause problems for an International student. The place where I live is so peaceful that you can not hear unnecessary voice throughout the day, and after 8 pm the streets are like there’s no human living in this area, which is strange to me because the city where I come from stays up all night. FYI: There is a rule in Germany that if you disturb your neighbor after 10 pm, they can sue you. This is the most amazing part of the student visa of Germany. You can visit 27 different countries(Including Germany) on your student visa during your time at Germany. This is pretty cool. Just last week we traveled to Austria and some places of Germany-Austria border. I can tell you that of you make a good plan, you can travel to every country which comes under European Union. There are airlines by which you can travel to Italy or Prague only for €10(~700 Rs). Which other visa would offer you like that? Imagine the cost of travel if you want to visit any of the European countries from India! So, while studying Ms in Germany, travelling in some of the best parts of the world is an additional benefit.